It sometimes feels like we are stuck in the middle when it comes to marketing. We live in a world of both roadside billboards and social media. There are so many options out there for delivering your message, and it can be hard to choose a channel that is most effective for your audience. There are lots of ways you can spend your money reaching customers or clients, but if you’re looking to maximize your price per recipient, email is your best bet. Sure, email marketing isn’t free. The price you pay for an email marketing campaign will vary based on what you have to work with in-house. 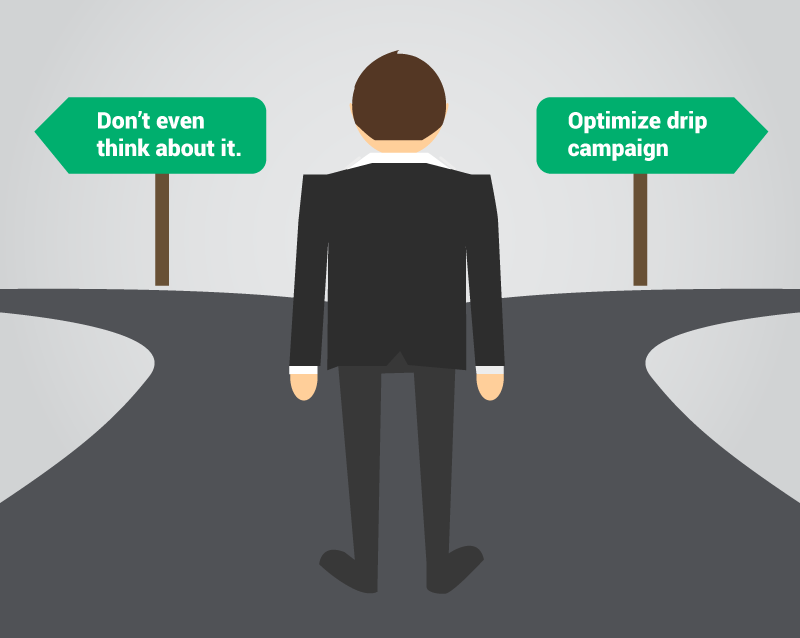 It costs money to compile an email list, design a campaign, and analyze its implementation. But overall, email marketing is generally more cost-effective option than some other options, such as direct mail. One study even found that for every dollar spent on email marketing, an average of $44 is made in return. According to a recent article about by Oberlo, in 2018 the ROI of email marketing is still $32, which is lower but still really high compared to other channels. And, with the help of email marketing software, accomplishing all of this is easier than ever, even without a lot of experience. Whether you are targeting customers directly or using email as part of a B2B campaign, special offers and coupons are a hit among email recipients. According to one study, a whopping 96% of consumers in the United States use coupons, and the numbers of consumers who rely solely on digital coupons is increasing. Of course, you don’t have to offer coupons in your emails. Any type of exclusive discount or special promotion is likely to get your recipients more engaged, and there’s no better way than email to communicate these offers in real time while reaching the maximum amount of interested people. 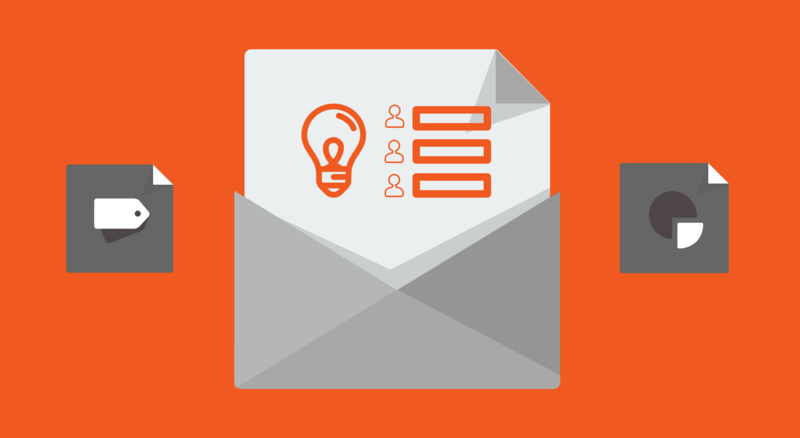 Unlike some other marketing channels, emails encourage recipients to act now. It’s certainly an effective means of communicating information, too. Not every email is going to be promotional. But when you do send out an “action required” email, you can be confident that you’re pretty likely to get a response. Email allows people to act. It is so easy to click on a link to make a purchase or complete a survey. While a direct mail letter might sit unopened on a desk or countertop for weeks on end, an email will be opened much sooner, so it can be acted on much sooner, too. At some point, you’ve probably been given the advice that one way to win someone over is to use their name a lot in conversation. People really enjoy feeling like you know them. When it comes to email, 71% of participants in one study said they greatly preferred emails that are targeted to them. Any customer or client deserves a personal approach, and email marketing is the perfect choice for some individualization. With features like substitution tags and optional segmented mailing lists, recipients can receive the type of information they want in the quantities they prefer. Long over are the days of mailing out a flyer to your good friend Current Resident and hoping for the best. There are some gaps in the way different generations receive information. While a social media-based approach is going to attract one crowd, direct mailing is going to attract someone entirely different. The good news is that email truly falls somewhere in between. While people in different age groups might use email differently, they are still using email. Pew Research data shows 87% of American adults age 65 or older use email, as do 94% of adults age 18-29—a fairly small difference. And age isn’t the only measure that shows consistent email use. There is little difference is email habits based on education, ethnicity, and income. In fact, 92% of all online adults in this country use email, making it an incredibly effective way to reach just about anybody! Using a customer relationship management (CRM) softwares connected to your email service provider will help you customize and segment your email lists based on your audience types, so even if you have a broad audience, you can send them the deals and content they’ll really connect with. If you need a CRM with segmentation, you can find reviews and recommendations here. While you certainly don’t want to bombard your recipients with unwanted emails or information overload, it is good to be popping up in their inbox from time to time. 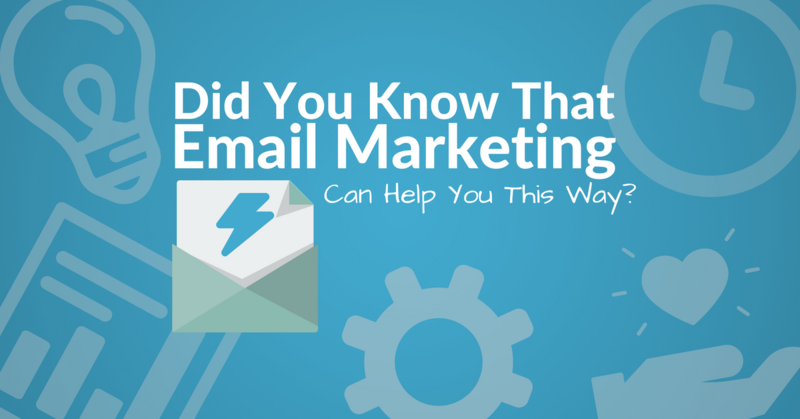 Email marketing keeps you connected to your audience in a peripheral way by becoming part of their regular routine. A recent study found that there is a pretty significant disparity in how often people check their email. Those who checked it the most—which made up about 34%–said they checked email throughout the day. Those who checked it the least only checked 1 to 3 times per day. Still, they were scrolling through email daily, which means email marketing provides a chance to make a meaningful connection every single day. The biggest part of any successful marketing campaign is making sure it’s reaching your audience. No one will know about your latest promotions, newest products, or upcoming events if they are unable to connect with you. Fortunately, this problem has been largely eliminated with the rise of mobile email access. Sure, some people still access email via a desktop or laptop computer. But the majority of users check email on their smartphone most often. More mobile means more eyes on your marketing campaign, all thanks to email. It’s occasionally a challenge to see how much of an impact, if any, your marketing campaign is making. Easy email analytics, which are available with most email management software, enable you to see exactly how many people are seeing, and—more importantly—acting on your email. By figuring out the most successful email format, knowing which emails are encouraging action, and having a solid understanding of how email marketing it working for your organization, you can tailor your email marketing campaign to make it even more efficient in the future. What other channel offers such real-time and overall analysis, and the chance to improve quickly and frequently? 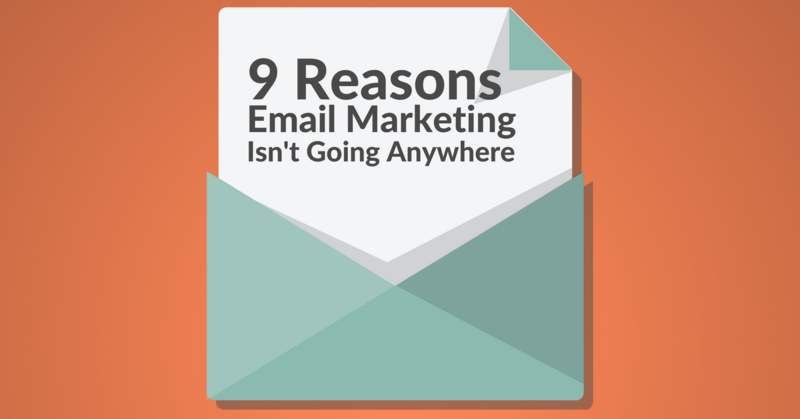 Why is email marketing not going anywhere? The most simple answer is because it works. Email marketing can work for any organization from the smallest of businesses to the most enormous of companies. Whether trying to reach individual consumers or forming connections with other businesses, email marketing can help. Young and old, people check—and respond to—email. It is easier than ever to look at a new email, and easier than ever to use email marketing to make your business thrive. Start your Email Marketing journey! Get your FREE trial! 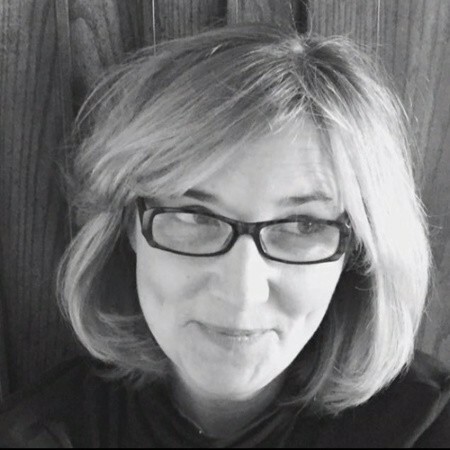 Laura Hudgens is a writer for TechnologyAdvice.com. She is a communications instructor and freelance writer who studies and writes about technology, media, science, and health. Email Marketing Strategy – Why Is It Necessary? There are practically countless options available, but email remains to be the most effective forms of marketing for many good reasons. As a YouTuber, I find email marketing as the best option as it is the most cost-effective form of marketing. To increase the number of views on my video, I used EasySendy which turned out to be the best platform for me to reach my niche audience. With its best-in-class feature of time wrap delivery, I found scheduling the emails based on location secure. My viewers count reached a good count after using this platform. Yours was a great article. Thanks for updating the other advantages of using email marketing too.